Well, this has certainly been one of those hectic weeks. I've been searching and applying for jobs every day. Then, on Thursday night, there was a tsunami warning here in Hawaii so we had to evacuate. This time, the tsunami actually did come. Thankfully, although the water came inland, it stopped about a block away from our house. Aren't they all just yummy? But, that's just the tip of the iceberg. It's now time for all of you to share your stuff. And, judging from what I've already seen on your blogs this week, it's gonna be one scrumptious weekend. WOW! Those all look amazing! I've linked up my oatmeal cake, and Pretzel, chocolate Chip, Caramel cookies. So glad to hear that you and your family are okay with the tsunami disaster...just horrible watching the news today. Best wishes for all! Hi Lisa, I just love this meme! So many great ideas, and I do love my sweets! On Saturday and any other day. You chose some awesome looking goodies for your top 5. Glad the tsunami did not reach your home. Lisa, I liked up a sweet risotto this week. Thanks - as always - for hosting. Hi there, I have linked up my apple pie, even tho it does not compare to some of what I have seen. Oh, what some great looking sweets over here. Thanks for hosting. That is so scary that you were so close to the tsunami! I would be a tad bit scared. Glad you are safe and didn't get hit! To answer your question...I have been to Florionopolis, Rio, Curtitiba and Iguazu Falls...now I KNOW I totally butchered the spellings...but I'm sure you know what I'm talking about! Where have you been? Also thanks for the yummy recipes! Lisa I am so glad that you and your family are safe. Prayers for everyone that has been touched by this disaster. Thanks for hosting this...it is just awesome! Glad you're ok! I linked up my Strawberry Shortcake. Thanks for hosting! I'm so glad that you are OK and did not have any damage. Try my Strawberry Pie -- it will cheer you up!! I would just like to let you know you are killing me with your posts! 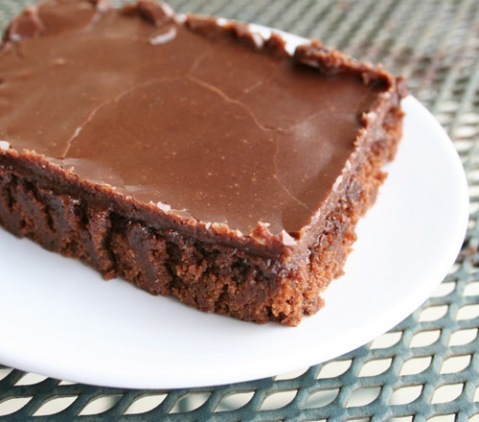 I gave up sweets for lent (as I always do) and my mouth is watering for all these great recipes! I always do my "tuesday Treat" on my blog for my sweets! Mmmm. Have a great weekend! Hi Lisa! Glad you are ok! The natural disasters in this world can stop any time now- everybody has had enough! I am sharing my recipe for Flourless Peanut Butter Cookies. They are naturally gluten free and I decreased the sugar in the original recipe from 1 cup to 3/4 of a cup, so they are a little healthier! linked up Black Bottom Cupcakes - thanks again for a fun activity. I'm getting lots of inspirations every weekend. I've linked up the mint chocolate chip cookie dough cupcakes. I added my recipe to your link up! Thanks for stopping by and inviting me. I look forward to checking out more of these recipes! I am so glad you are ok. I hope all of your family and friends are safe too. I linked up my King Cake for Mardi Gras! Thanks for asking me to join! There was indeed a baby hidden in the cake! Wouldn't be a King Cake any other way. Glad you and your family are safe after the tsunami. Glad you're safe, Lisa. My daughter and fam. are only 25 min. north of us, but were in the tsunami warning area(we were in advisory area), bordering the evacuation area, so I was happy to offer them a safe haven for the day. Nice to meet you Lisa! Thanks so much for the invitation! I'm so glad you are safe. I'm praying for all those affected by the earthquake and tsunami. I linked up my shortbread recipe and grabbed your button! This is such a fun way to connect with people, as well as share such wonderful recipes! I'm following now! Stay safe and God bless you! Thanks so much for stopping by YSP. I'm glad that you are safe in your beautiful country. Saying prayers for Japan. I can't wait to try the chocolate sheet cake! Love your "sweet" blog too. Thanks for the invite. I linked my brownie bites. Glad you are safe. Hi Lisa, Fabulous yummies! They are all so delicious looking. I've just linked up! Thank you for hosting. Left my chocolate chip cookies and coconut cream pie. Glad to hear that you're okay after all the weather! hi lisa! thanks for stopping by! I just added my chocolate crinkle cookies to your mix. 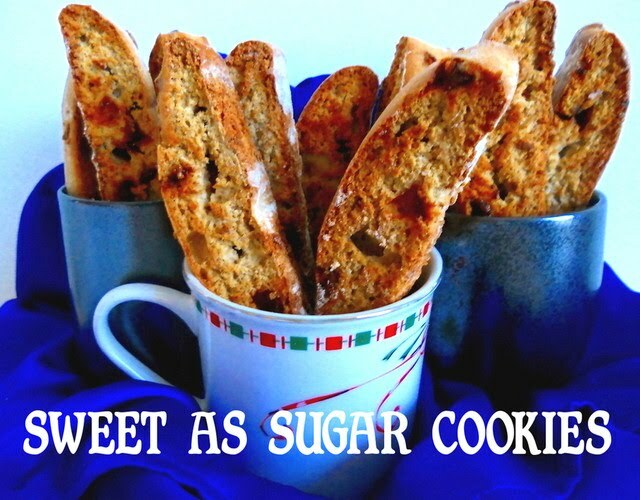 there are so many yummy sweets in your links that i want to make! i also see a couple people made king cake- i too made king cake this week, but didnt turn out good, i'll have to see these other recipes. love your blog! i've linked up! lovely compilation! Hi Lisa, so glad you liked my blog! Thanks for including me in your Sweets for a Saturday. I posted my Brown Sugar Blueberry beignet Doppelgangers for Mardi Gras. BTW, love your blog! Just so much choice as ever. But I'm doing a 10k race tomorrow so I'm sure I can view it as 'recovery food'. Thank God you're safe and sound! The earthquake in Japan and the tsunami are just scary. It's so sad to watch the news. Thanks for hosting again...we need all these sweet treats to cheer things up and forget the disaster for just a moment. What a FUN idea!!! I posted my bread pudding recipe. I'm anxious to go look at the other submissions. Thanks for stopping by my recipe page. Hi Lisa! Thanks so much for your comment. I posted my chewy blondies. What a great idea! Thanks for commenting and letting me know about your link up. 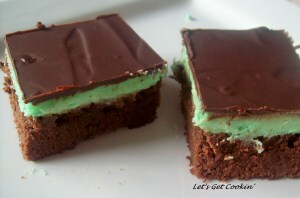 I would love to try the Luck of the Irish brownies! Yum! Good morning Lisa! First of all I am so relieved to here you are all OK over there!! It had to have been a scary few days. On the bright side of things, I linked up my Almond, White Chocolate, Cherry Granola Bars today :) I hope you have a lovely week! Thank You so much for the invitation to link up. Love all the yummy food! Thanks for hosting! and have a wonderful day! Added my Mardi Gras King Cake too, thanks for the invite, great page! Hey Lisa, I linked up my donut recipes from the week! Try my chocolate glazed, strawberry frosted, jelly filled, orange creamsicle or lemonade! You won't regret it! Thanks for the great blog, you rock! Thank you Lisa! I linked my Rich Banana Bread and linked your blog in my post. Thanks and I'm so glad you are safe! I linked up Almond Oatmeal Cookies... they are vegan if you skip the Choc chips, or buy vegan choc chips! Thank goodness you are okay. So scary! Thank you so very much for the invitation to link up. I linked my Brown Butter Blondies and some Chocolate-Chocolate Chip Muffins. Love this linky party. What a fantastic idea. Take care! Hi Lisa! Long time no type! Sorry I've been crazy with cakes... this sounds like so much fun..I'm joining in and super excited!! Lisa, love your link parties. I come over every Saturday. Great idea. Great recipes. Thanks for the invite. Check ours out this week. Really really good. Thanks so much for sharing all this deliciousness! Glad to hear you are safe...good luck job hunting! I posted my Banana sour cream cake with Honey, cinnamon icing. the picture wouldn't show up as the thumbnail though...sorry! I'm so glad your family was safe from the tsunami. Good luck on the job hunting! Just linked up... thanks for the opportunity! Everything looks great! Thanks for hosting despite the way your week has gone. Hope all is well this weekend. I linked up with a Red Grape Muffin recipe that could pass as cake. Thank you for the invite! I've posted my decorated sugar cookies and I'm going to check out some of these lovely creations now! Hi Lisa! So glad you found my cake recipe. I linked up and shared my Yellow Cake with Buttercream Frosting Recipe. I look forward to perusing all of these awesome recipes! Hi Lisa! Thanks for letting me know about this. I posted the Better Than Johnny Depp Cake. Such a neat idea! Hey Lisa, I linked up! Thanks for your comment and for turning me on to so many new bloggers and recipes! Yay! Hi Lisa, so scary to have it come so close! I just love coming here on Saturday, it is so much fun! I shared my prize winning Bread Pudding today and hope you enjoy it. Thank you for hosting and have a great week end! Hi Lisa, thanks again for your invite! Hey Lisa! I am still new to this whole blogging thing, but thanks for commenting and telling me about the great networking! I linked up my Salted Fudge Brownies! Lisa, what a great idea! Thanks for inviting me to link! So glad you're safe and your house was okay! I linked up my gluten-free, vegan, sugar-free pumpkin spice muffins. I linked up my Mint Chocolate chip cookies. I love your blog. Thanks for inviting me to link! I'm so glad to hear that you are okay! I didn't know you lived in Hawaii. I hope no one you know is affected. Be safe! I'm linking up some muffins this week, they are so good! Wow, so many goodies! I've linked up my lemonade cake, a little retro but delicious. Thank you for the invite! I am so glad you are safe! As soon as I figure out to, I will be linking up my Oreo Brownies! I linked my yummy strawberry cream cheese pound cake. I linked up my apricot cream cheese loaf. Thanks again. Hi Lisa, thanks for letting me know! I linked my peanut butter espresso cookies with candied bacon post. I linked my peanut butter cookies! Thanks for stopping by my blog! Thanks for hosting the sweets party Lisa! I posted some yummy pistachio chocolate chip cookies. I didn't know you lived in Hawaii. I'm here too, it was such a crazy night wasn't it? Glad to here your house is safe and sound. I am linking up some yummy apple cobbler as well! Tons of great treats today! Linked up my hazelnut chocolate chip cookies w/ Nutella frosting. Thanks for the invite! Hope you're not too stressed getting back settled after this week's crazy events! Thanks for the invite to link up!! I look forward to looking at the other great treats! Hi Lisa, glad to hear you're safe and sound in Hawaii. 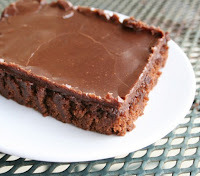 Thank you for inviting me to share my Maya brownie recipe post. Stop by again soon. Hi Lisa, Thanks for the link to this 'party', I linked Everyone's favorite Oatmeal Cookies' recipe. This is a feel good blog! So many yummy desserts to choose from. Hi Lisa! Thanks so much for letting me link up my low-fat chocolate chip bundt cake. Such a great idea, all the desserts look delicious! Thank you so much for hosting this sweet event. I am happy to be able to participate for the first time this week. I linked up my banana bread, its super yummy and moist! hello Lisa - thanks for linking me up :) I've added my cinnamon-sugar wheat thins, and am glad you're safe! Glad to hear you are safe and sound from the tsunami. Such a scary experience. Take care. Hi Lisa, thanks for visiting my blog and inviting me to join your party! I've added my Lavender & Honey Oat Bars and put your button & a link on my blog. Looking forward to checking out all the others! Take care out there!! I added my praline biscuits. Enjoyed looking at the variety of food! Lots of great recipes to try this week! Hello Lisa, Thanks for the invite to join your party. I am glad that you are okay, the tsunami looked horrific on TV. I have linked up my trifle post and added your button. Browsing all the treats here has me planning so many things I need to try! Thanks so much for the invitation to your linky party :-) I've added my Strawberry Cream Cheese Brownie Cupcakes and Lemon-Berry Corn Muffins. I've also added your button to my blog and will read some of the fabulous looking sites on your site. Hi Lisa, thanks for asking me to join the party. I've linked up the carrot cake recipe from my blog. Seems like you had your own miracle for the week, so glad the Tsunami missed you. God bless! This was really clever of you. That's a great mix of food. I left my Chocolate Chip Cookie Dough Truffles for all to enjoy, and put your button on my blog. Thank you so much for inviting me to the party. And what a sweet one it is!!! More importantly, though, very glad to hear that you are safe. My "sweet sandwich" is added and so is your button on my entry. Now I'm on my way to the other guests! Linked up the Brownie Cake! Great! It all looks fantastic! So glad your home is safe. Hawaii is definitely my favorite place and your are soooo lucky to live there. Take care. thanks for finding me and inviting me to this weekend treat! nice roundup! everything looks really yummy! Thanks so much for inviting me to link up. Everything looks just amazing! I'll be back later to check out all the sweets! Thanks so much for stopping by my blog and leaving a comment. I love this link up - there are so many beautiful sweets to try!! I am so glad you're safe and did not suffer any damage from the tsunami. Thanks so much for the invitation to participate! This looks like a wonderful group of bakers and their food! Thanks for the invite...I've wandered over, drooled a lot and finally linked up! Thanks for the invite to this party, Lisa. What a wonderful idea! Nothing but recipes!! I love it. Glad u guys are alright, it must've been quite a scare ... stay safe!!! Thanks for inviting me to link up! What an amazing selection of treats there are here in the links and on your blog! How scary to have the water so close to you but glad you're alright. OmiGod Lisa , im lost in this vast sea of delicious sweet treats , am gng to spend some time here and go to as muc as i can. Many thanks for the invitation! Great to be a part of it! Hi Lisa, I've just linked up one more dessert! thanks for the invite Lisa! the current submissions look soooo yummy! What an unbelievable gathering of goodies. Thanks for thinking of me. Thank you for inviting me over! I think I'm going to really enjoy going through the entries this week!!! I've linked my Chocolate Truffle Cake. Lisa-Thanks for the invitation! I've linked my Chocolate Pie with Meringue. What a neat idea and such yummy goodies to browse. Thanks again! This is AWESOME - I can't wait to go check out other recipes! Thank you for inviting me - going to do it now!!! Thanks for the invitation. I'm excited to try some of these delicious-looking recipes! Thanks for checking out my cupcakes! I've linked my chocolate peanut butter cupcakes with Reeses baked inside! What a fun treat party! I've linked up my St. Patrick's Day Mini Cakes and also added your blog onto my blogroll. I love to find new food blogs like yours. thanks for the invite! i linked my peanut butter cup cookies. Um...wow! Who knew all this goodness was available in one place??? Thanks for stopping by my blog and inviting me to link up my stuffed chocolate chip cookies. I will definitely be checking out some of these *amazing* looking sweets! Thanks for visiting my blog! 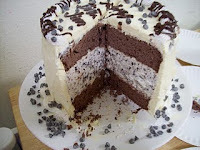 I linked up my poke cake and now I'm off to visit some other blogs and admire their treats. Hey Lisa! I just linked up to your Sweet Treat Party! What a great opportunity to share awesome recipes! And thanks so much for visiting my site!!! Thanks for the comment - I have linked up! Some of these links look amazing! Hi Thanks for inviting me to add my recipe. Have done it now, but just realised I accidently wrote my blog name not the name of the recipe doh! It's an orange and lemon polenta cake in case anyone wants to know. Lisa, great blog! Everything looks delicious. Thanks for visiting my blog. Some of these items look so amazing! Lisa, what a nice show of hospitality on your blog and help to others in the way of getting them more noticed. Thank you for taking the time to invite me over! BTW, your food blog just rocks way out there-- It's beautiful. I linked mine over to you and added you onto my blog--take a peek! I think, I should start at one and work my way through the list but who will eat it all. I am glad you are doing this. What a resource for the rest of us. If I need a dessert, all I need do, is come here and look through the links. Yummy! Everything looks so good. Sorry I was too late to link up! Wow! Lovely lists of deliciousness! I am still trying to figure out how to link! I love your "Sweets for a Saturday"! So many great ideas. Steve and I are actually going to make winner #3's ice cream cake for his birthday at the end of the month! It's such an easier method than the one we used before! Lisa! Thanks for the invite. It looks like I missed the window, but I love the recipes you have! Good luck with the job hunt! Hi Lisa! Thanks for the invite. Although I missed the boat on this one as I have just come back from a mini vacation and back to my blog. The collection looks fantastic however! Great idea, looking forward to seeing more!